Sometimes we get asked about a project that really moves us - this was one of them. 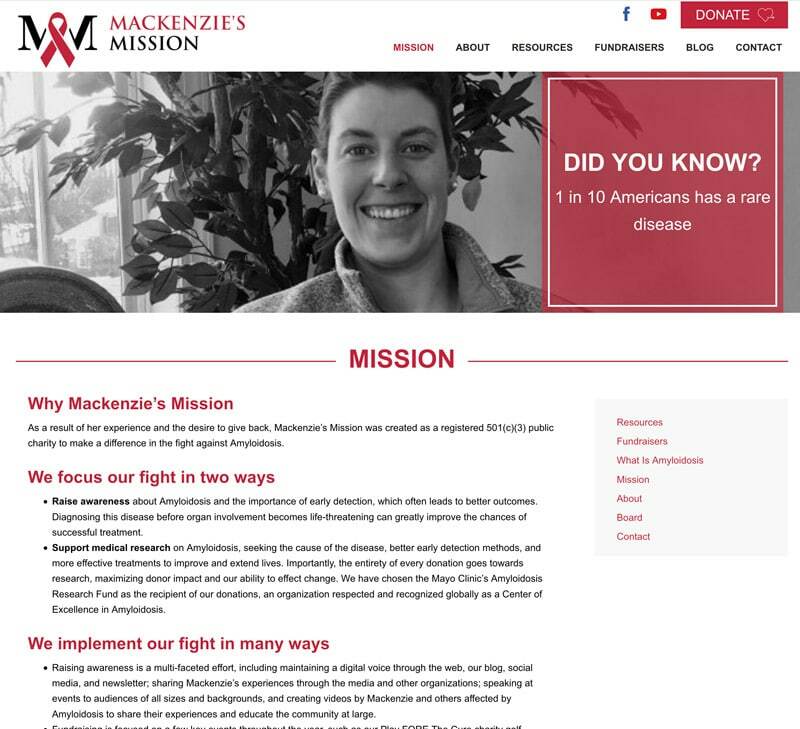 Mackenzie's Mission is a personal mission started by Mackenzie - a survivor of Amyloidosis. Because the disease is so rare - and typically affects males ages 55-80, she found it important to create a nonprofit to spread the word about the disease. A simple website that would serve as a platform to educate, solicit donations and share important disease related information was what the client was looking for. Once of the unique features on the website that they wanted was the ability to add quotes and statistics. We decided to incorporate these in the header so they become a core part of the website to inspire and educate visitors! Because they did not have a lot of technology skills - making the site very easy to use was super important! A an easy to use calendar for events was also created that will allow them to easily add new events and have an event page created so they can promote them easily to their supporters. Of course donations are one of the biggest parts of any nonprofit and it is no different with Mackenzie's Mission! Their fundraising goals are so the great team at the Mayo Clinic can continue their research to help find treatments and a possible cure for the disease. We set them up with Give for Wordpress which is our go to fundraising application! 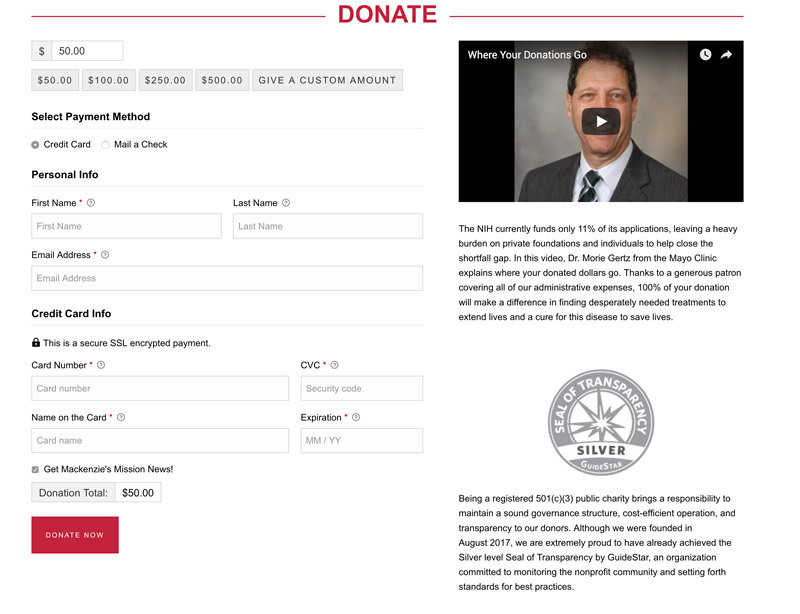 They can run reports on donors, easily see who donated and can build custom pages for different events and fundraising opportunities outside their standard donation page.